Teardrop Sequins is an exclusive sequins on tulle fabric. Pear shaped and embossed sequins hanging from mesh ground. The sequins are very closely sewn on mesh ground. This fabric is ideal for all decorative needs. It is commonly used as tablecloths, backdrops, and other event decorations. 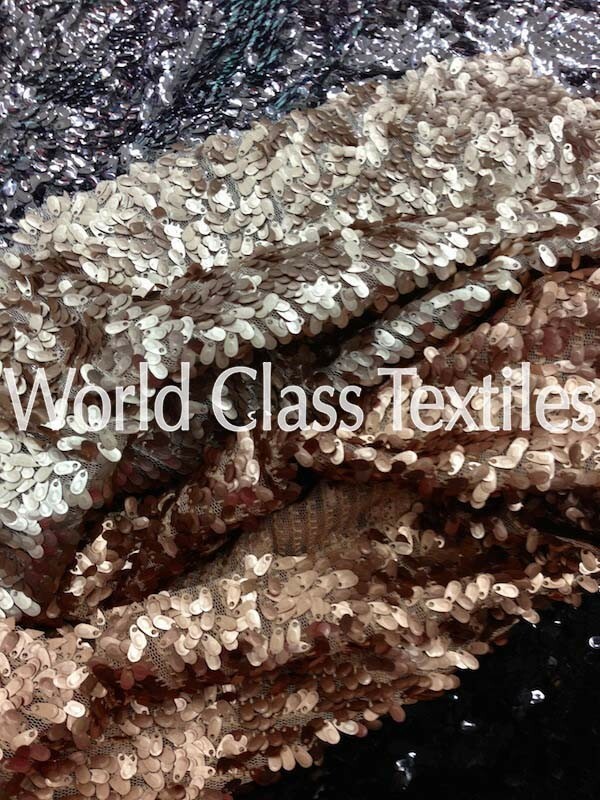 It is also one of the favorite sequins fabrics used by fashion designers. The teardrop makes it romantic and sets it apart from other sequins fabrics.